Sorry soap fans, there’s no help coming from Oprah Winfrey. The daytime host and mogul has announced that she and her cable channel aren’t going to be able to save All My Children and One Life to Live from being cancelled. What do you think? Do you think there’s still a place for soap operas on television or do you agree with Winfrey that their time is over? More about: All My Children, All My Children: canceled or renewed?, One Life to Live, One Life to Live: canceled or renewed?, The Oprah Winfrey Show, The Oprah Winfrey Show: canceled or renewed? I think it stinks…and I disagree with Oprah! I watch it every day and so do all my friends….dont believe that is is becoming a dinosaur! She is all about money and whatevers suits her…I guess AMC does fit into her pattern of life! Dont believe it has lost its luster or its audience! I disagree with Oprah. and I will never watch her network because not everything is about money. It’s not like she is poor. 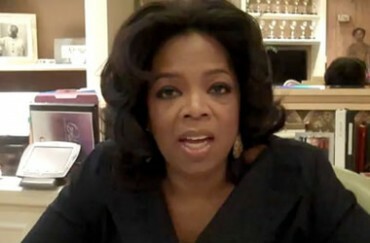 Oh Oprah…just when I thought you couldn’t become anymore of a stereotypical, money mongering, hypocrite. Strange that OWN purports to be about quality programming for women when, in reality, it is actually about “the dime to be had from it”… your very OWN words, Oprah…shame, shame! RecceR » It’s all about how many people see the commercials, not how many people watch the show. It’s always been that way. As in the case of newspapers, the articles are used to fill in around the ads, not the other way around.